A broad bipartisan and bicameral consensus at the General Assembly may not create sensational headlines—but such agreements DO occur. In Part One of our series on NEW state laws that take effect this week, Virginia Public Radio’s Anne Marie Morgan reports on two sets of bills that fit that description: reforming school Standards of Learning tests and overhauling the Commonwealth’s mental health system. 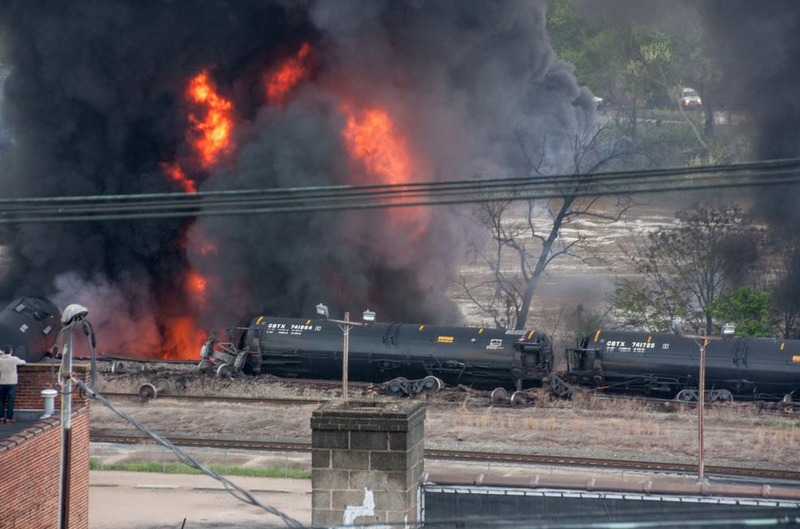 Within hours of a rail crash in Lynchburg on April 30, inspectors for the state and federal governments and CSX were on the scene – trying to figure out why 17 cars derailed and one ruptured – producing flames, smoke and a significant oil spill. Getting official answers could take 18 months, but there are clues that suggest a cause for the accident and a future course of action to improve rail safety. Sandy Hausman has that story. While some groups and businesses have touted their environmental accomplishments and criticized new EPA regulations, one watchdog organization says “not so fast.” As Virginia Public Radio’s Tommie McNeil reports, Environment Virginia says although significant strides have been made in watershed cleanup, the state’s waterways are still endangered and lots more work needs to be done. A Virginia legislator is trying to help a long-­banned crop make a comeback in the Commonwealth…and Portsmouth City Council has learned that owning goats is not so simple as it might appear to be. Those stories are among the most read in recent days at the Virginia Public Access Project’s V­A News link on V­PAP­.­org. 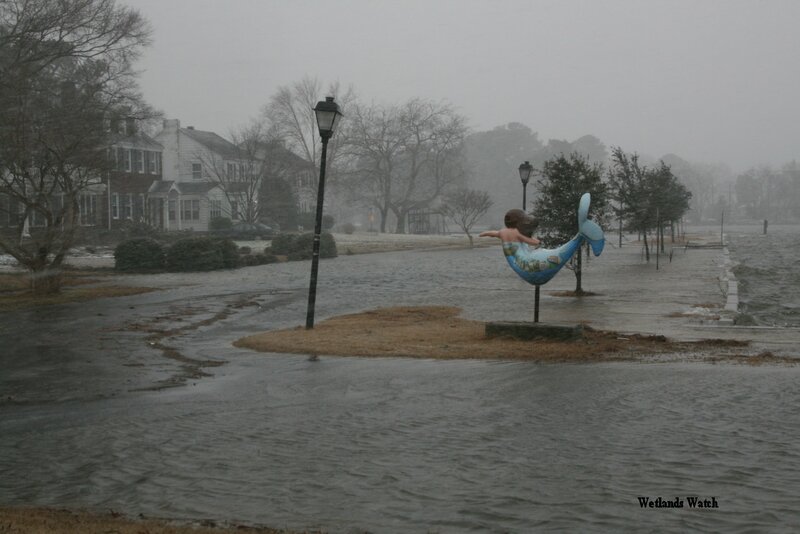 Two Virginia Democrats are teaming up with two Virginia Republicans in a rare bipartisan hearing into how to combat sea level rise along the eastern shore. 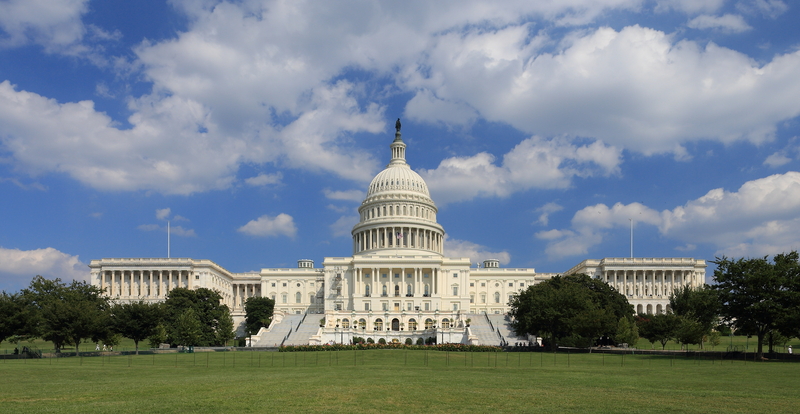 Capitol Hill reporter Matt Laslo has the details on the field hearing. On this final edition of “Virginia Conversations,” bringing together corporate and civic leaders to shape the state’s future.That’s the mission of the program “LEAD Virginia”. Host May-Lily Lee talks to its president to find out how it works, and hear from some of the leaders who have participated in the program. As more commuters turn to bicycles as an alternative method of transportation, lawmakers say everyone must rethink how we take to the roads. 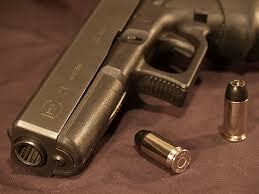 That approach is now reflected in a new law that takes effect on July 1st. 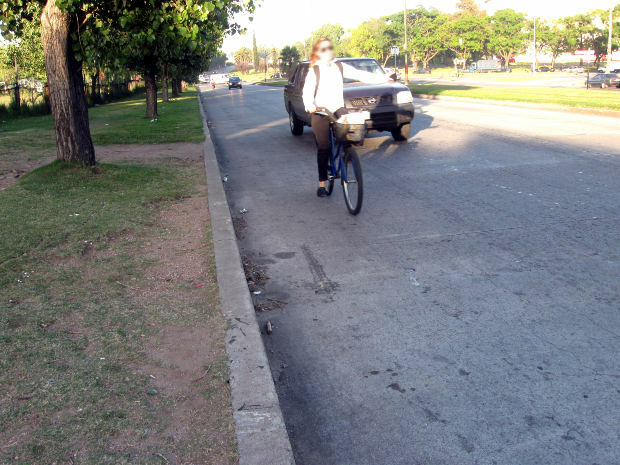 The law will require motorists to allow three feet of clearance when passing bicyclists. 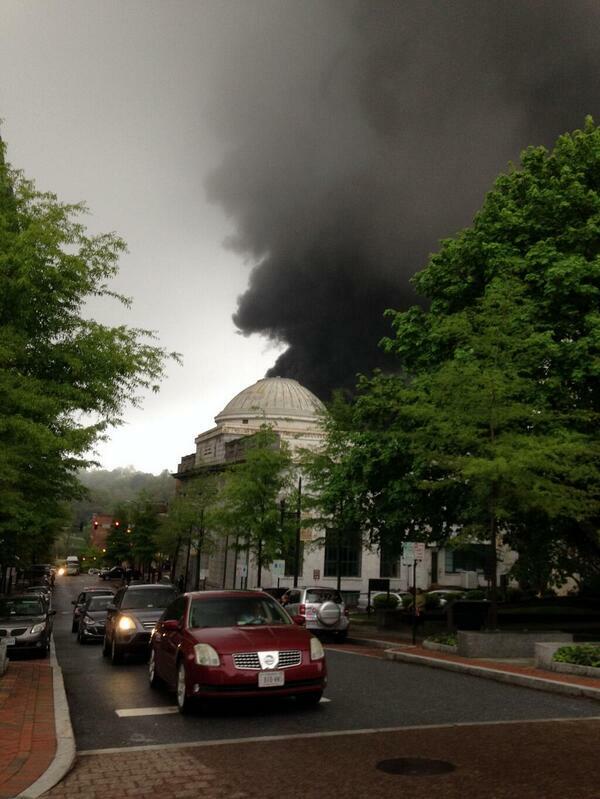 Virginia Public Radio’s Tommie McNeil reports. For decades Americans have worried about our dependence on foreign oil and gas. By 2005 we were importing 60% of our energy, but in 2008 a new technology called horizontal hydrologic fracturing or “fracking” raised the promise of energy independence. U.S. crude production is up 50% and imports have fallen 35%. But getting oil from a massive shale deposit in North Dakota to refineries is raising serious concerns about public safety. Sandy Hausman has more on that story. 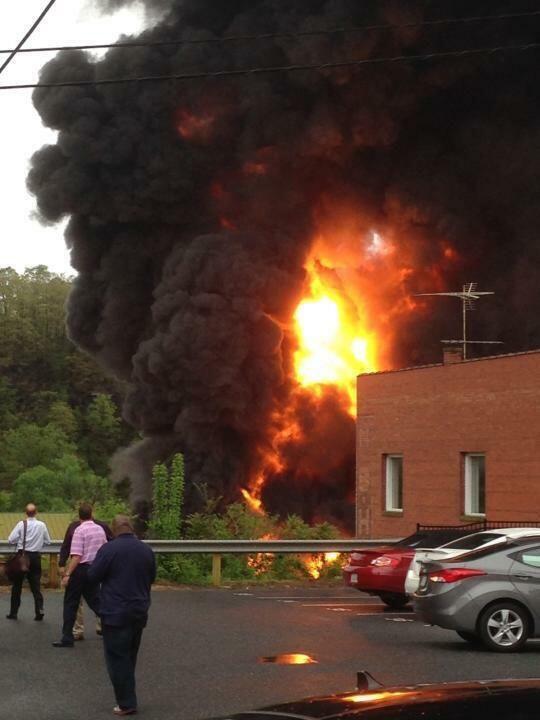 Each year officials investigate an average of ten derailments in Virginia alone. Most involve coal or grain – cargoes unlikely to cause trouble for nearby communities, but a growing number of trains now carry oil from the Bakken region of North Dakota. Because it contains high levels of gas, it’s more volatile than some other forms of crude, and transporting it by rail could be putting whole communities at risk. Sandy Hausman reports on one proposed solution to the problem. 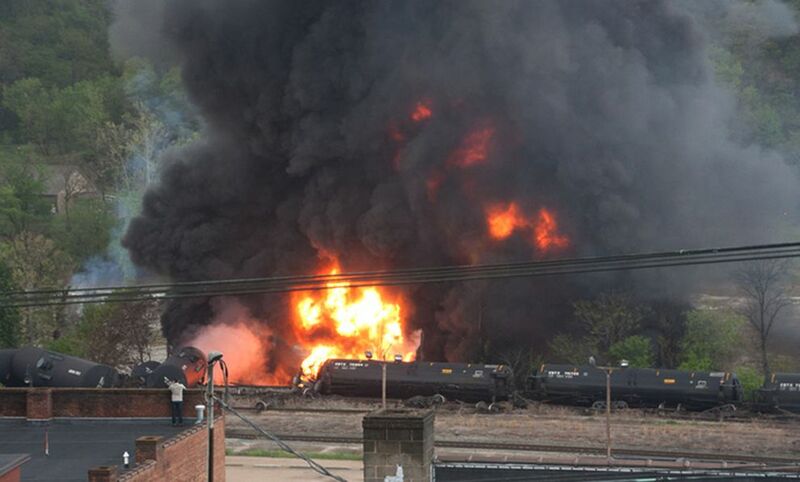 It’s been nearly two months since a train derailed in Lynchburg, sending a fireball into the sky above that city’s downtown and spilling oil into the James River. Experts said the accident could have been far worse, and many communities along the state’s 3,200 miles of railroad face similar dangers. This week, Sandy Hausman begins a series on rail safety and why the risks have risen dramatically. Virginia House Republicans are pulling out the big guns and preparing for a major battle with Governor Terry McAuliffe’s plans to expand Medicaid on his own. They asked the former Solicitor General who has argued more Supreme Court cases this century than another other lawyer to provide a legal analysis of McAuliffe’s options. 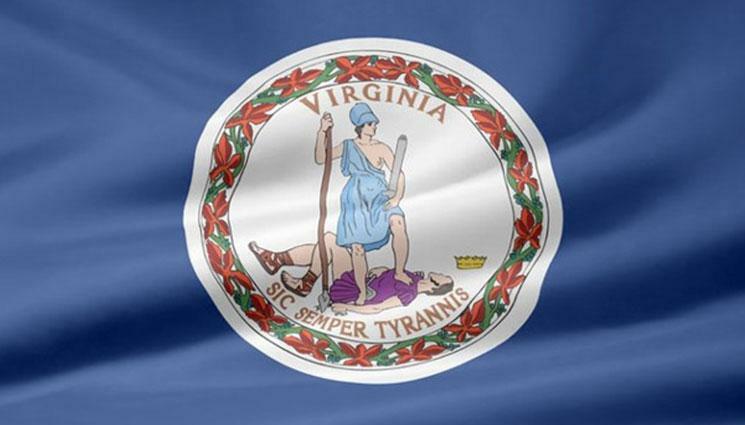 As Virginia Public Radio’s Tommie McNeil reports, they are not saying a lawsuit is inevitable, they are telling the Governor he needs to tread carefully over the issues. 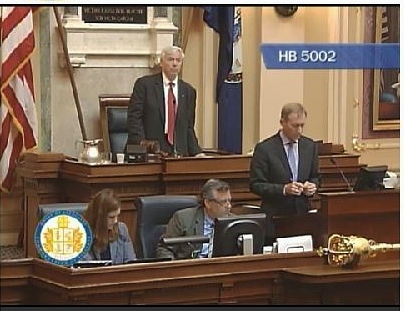 When House of Delegates Speaker Bill Howell ruled two of Governor McAuliffe’s line-item vetoes out of order Monday night, he cited the state Constitution and Virginia Supreme Court precedents for doing so. Those include a 1996 case where then—as now—one major dispute was over budget language about federal funds. 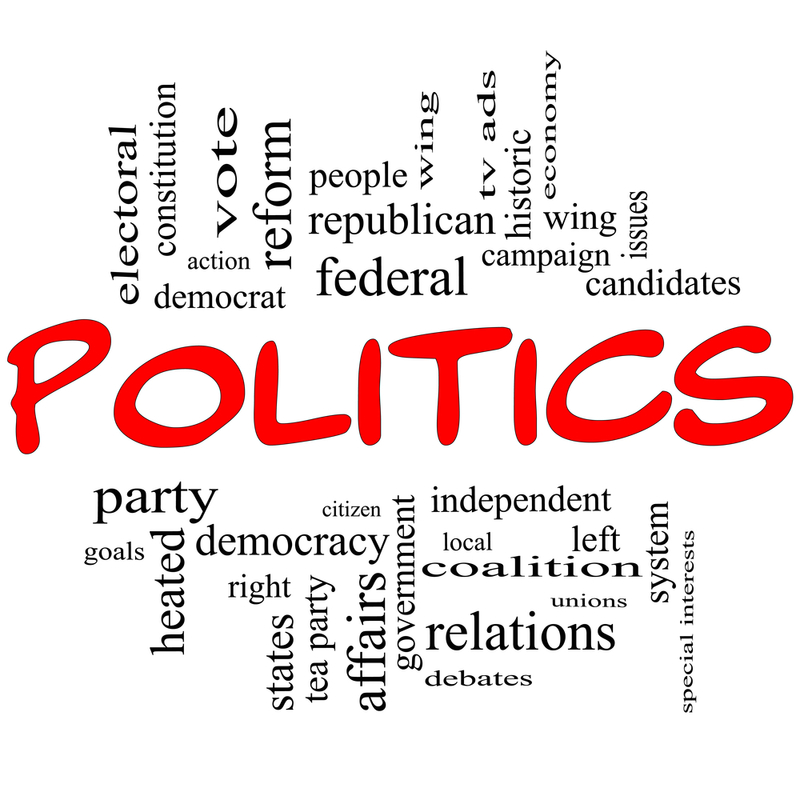 And as Virginia Public Radio’s Anne Marie Morgan reports, the Speaker’s rulings ultimately may not be the final word on the subject. It will be a winner-take-all at the College World Series tonight in Omaha. The Virginia Cavaliers forced the deciding game last night with a 7-2 victory over Vanderbilt. Tonight’s game starts at 8PM and will be shown on ESPN. A Virginia victory tonight would be historic for the university and the Atlantic Coast Conference. 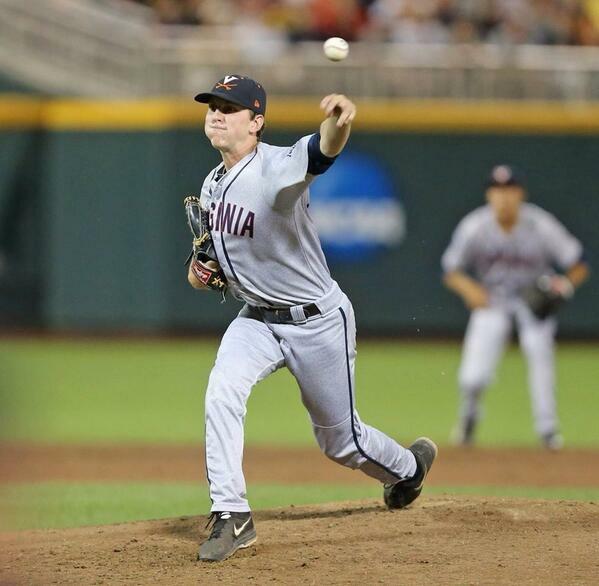 The University of Virginia baseball team has its back against the wall at the College World Series in Omaha. Vanderbilt took Game One in the best-of-3 championship series, 9-8. But as Greg Echlin reports, UVA’s trips to Omaha are drawing repeat visitors with hopes of seeing the Cavaliers go all the way. Virginia guns laws are despised by officials up and down the east coast who say the lo0se laws bleed guns onto their crime-ridden streets. But Capitol Hill reporter Matt Laslo has this story on how a recent Supreme Court case could stop the bleeding a tad. There’s controversy over ownership of volunteer fire department vehicles in a Virginia county where population growth is bringing demand for standardized emergency services…and people who walk and bike across a bridge in Norfolk are wondering who’s responsible for keeping them safe. These are among the most read stories in recent days at Virginia Public Access Project’s VaNews link on vpap.org. Fred Echols reports. On this edition of “Virginia Conversations,” the need for foster care in the state. Host May-Lily Lee talks to representatives from the Virginia Department of Social Services and a foster care organization to find out how urgent the need is, and how you can help. 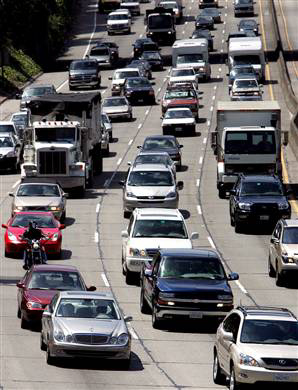 The federal pot of money that’s supposed to keep local roads, highways and bridges intact may soon be empty, yet lawmakers on Capitol Hill are miles apart from each other – and it remains unclear if they’ll be able to bridge the gulf. Reporter Matt Laslo has the details. The political spotlight has suddenly focused on a small Virginia College where two faculty members are running against each other for Congress… and pollution in the Chesapeake Bay creates a surprising consequence for Boy Scouts in Arlington. Those stories have been among the ones attracting the most attention in the past few days at the Virginia Public Access Project’s VaNews link on vpap.org. Fred Echols reports. The recent trend toward e-cigarettes as a way to avoid the dangers of smoking may not be as safe as previously thought. Scientists at Virginia Tech now say nicotine; even in non-smoke-able forms can, cause cancer. We get details from Robbie Harris. Police routinely use certain techniques to get confessions from suspects, but a new study from the University of Virginia suggests those tactics should not be used with juveniles. 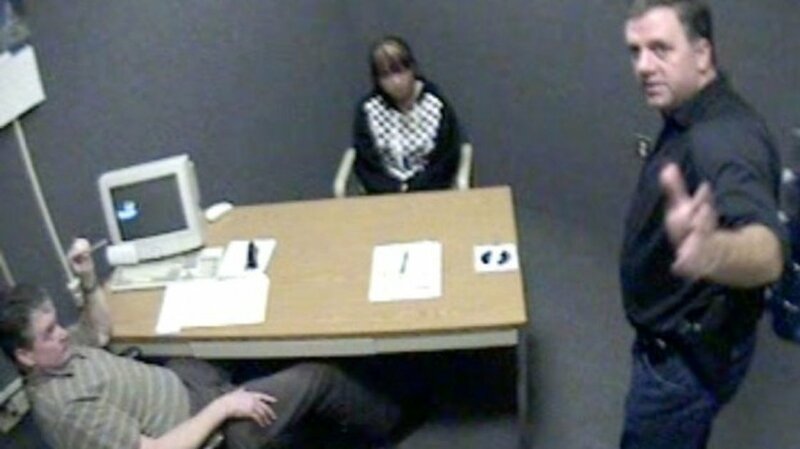 Because their brains are not fully developed, social scientists say they will respond differently than adults, and as Sandy Hausman reports, confess to crimes they didn’t commit. Some Virginia policy analysts say after months of stalling and keeping constituents on the edge of their seats, the General Assembly still blundered by passing a budget without Medicaid expansion. Groups that include Virginia Organizing, Progress Virginia, and the Commonwealth Institute for Fiscal Analysis say that not only has the budget left hundreds of thousands of Virginians without affordable healthcare options—but residents are left with a gaping budgetary hole that needs to be filled. Virginia Public Radio’s Tommie McNeil has more from the State Capitol. 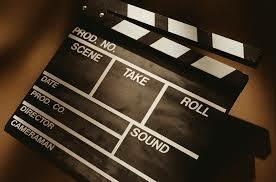 On this edition of Virginia Conversations, bringing Hollywood to the Old Dominion. We catch up with Adriana Trigiani, who shares her experiences filming the movie version of her novel “Big Stone Gap” in that small coal-mining town. And we talk with Sarah Elizabeth Timmins about the two new movies she’s working on: one set on the Chesapeake Bay, the other in Lynchburg. 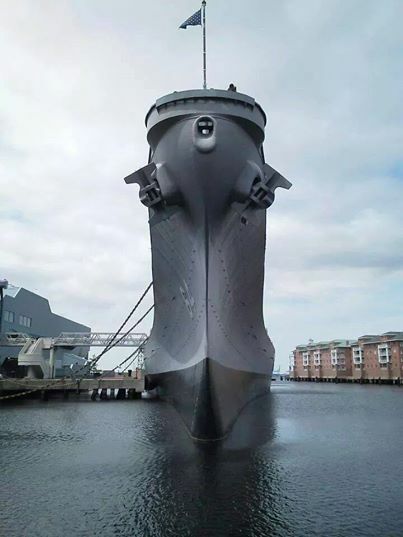 From USS Wisconsin Facebook, Submitted by: Jeffrey J. Jankowski, Timothy Snipes. Nearly three years after Virginia Public Radio told you about the growing problem of veterans’ homelessness in the Commonwealth, the state is putting pen to paper to help put an end to it. The legislation is one of 10 veteran-friendly bills that Governor McAuliffe ceremonially signed into law at the World War II Battleship Wisconsin museum in Norfolk. Some conservatives are asking for a delay in the race to replace Eric Cantor as House Majority Leader over disagreements on immigration reform. 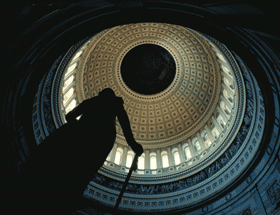 Capitol Hill reporter Matt Laslo has the story. Majority Leader Eric Cantor may have lost his Republican primary in Richmond, but he isn’t giving up his leadership post until the end of summer. 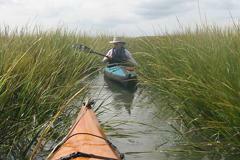 Capitol Hill reporter Matt Laslo looks at what the sea change means for the state. Senior Republicans say after Eric Cantor’s primary loss in Richmond last evening he’s relinquishing his position as Majority Leader at the end of July. 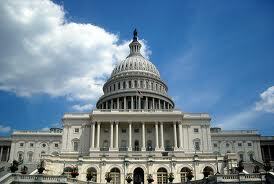 Capitol Hill reporter Matt Laslo has the story on the race underway for his replacement. The state’s economists and fiscal experts are urging lawmakers to pass a budget as soon as possible to help mitigate lower revenues by tapping into the state’s rainy day fund. 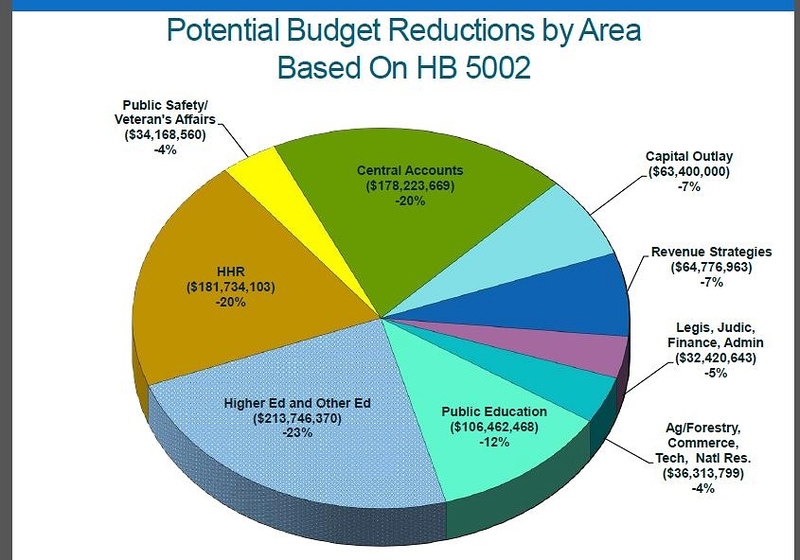 As Virginia Public Radio’s Tommie McNeil reports, they informed the House Appropriations Committee that if lawmakers don’t act soon, the state has much to lose. Both houses of the General Assembly will convene to work on the budget Thursday night. 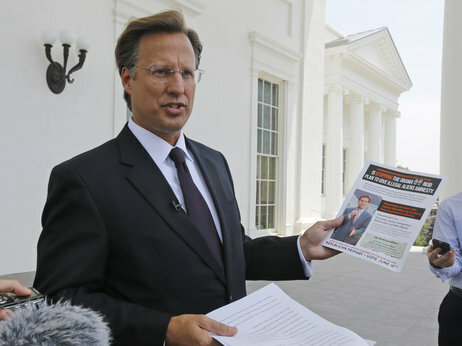 A political bombshell hit Virginia last night … as U.S. House Majority Leader Eric Cantor lost his re-election bid to a political newcomer, Randolph-Macon Economics Professor David Brat. 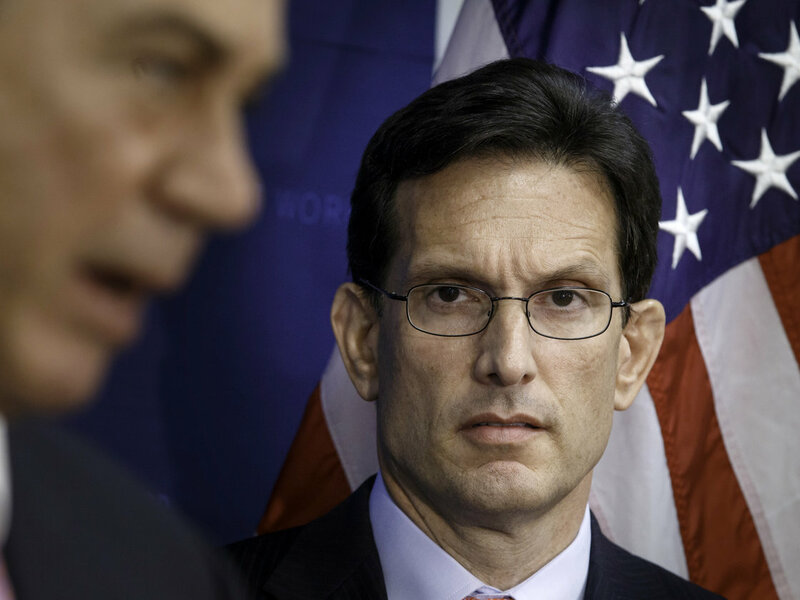 Despite his huge campaign cash advantage, Cantor lost his 7th Congressional district Republican primary by a margin of 45% to 55% of the vote. 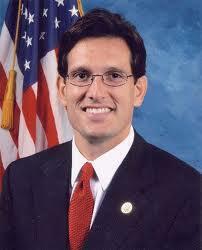 Cantor was elected to the U.S. House in 2000 and became Majority Leader in 2011. He is the first U.S. House Majority Leader ever to lose a primary. Brat will now face off against a newly minted Democratic opponent, Jack Trammel. Trammel is a fellow professor at Randolph-Macon College who was nominated by Democrats on Saturday. Although Cantor can serve for the duration of the year, the loss could well prompt a shake-up in the U.S. House leadership in the near future. Meanwhile, in the 1st Congressional district primary, incumbent Republican Congressman Rob Wittman easily trounced his challenger, Anthony Riedel, by a vote of 76% to 23%. Wittman was first elected to Congress in 2007 and serves on the House Armed Services and Natural Resources Committees. Wittman’s Democratic opponent in the general election will be Norm Mosher. 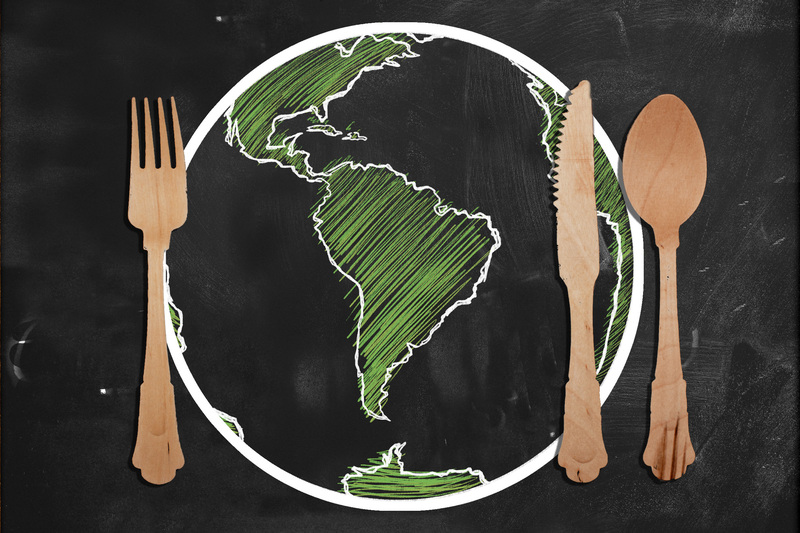 Metals known as ‘rare earth elements” are in growing demand worldwide. They’re vital for many of the high tech devices we all use. China has been the major source for rare earth minerals, but recently cut its exports. This has geologists in the U.S. searching for domestic deposits. 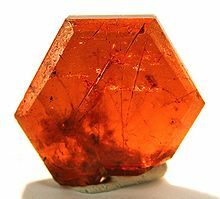 As Robbie Harris tells us in part one of her report, they believe south eastern Virginia could be the place to look for the coveted elements. 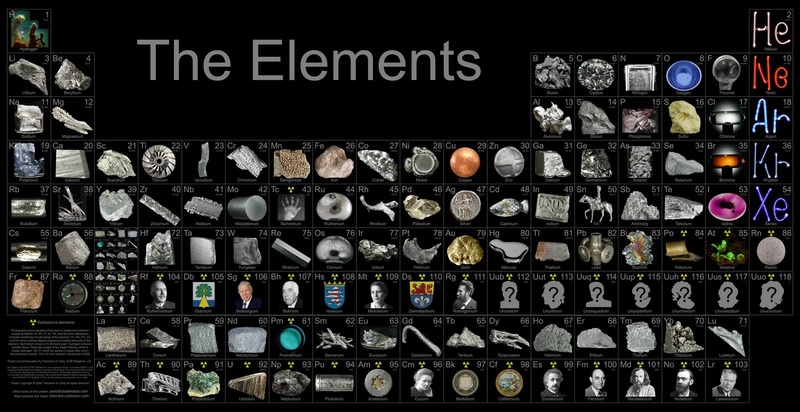 The elements known as ‘rare earths,’ are a relatively new addition to the periodic table. And they have changed the world, ushering in the new age of technology because of their unique properties. They allow us to make smaller and more efficient devices for everything from smart phones to wind turbines. In part one of our report, we told you China, which been the largest provider of the exotic metals, has stopped exporting them, causing a worldwide shortage. But scientists now think similarities between the geology in southern China and the South Eastern U.S. could make this region a new source for rare earths. Robbie Harris has part 2. The E-P-A’s new rule to drastically curb carbon pollution is now playing a key role in the Virginia Senate race. Matt Laslo reports. Virginia is trying to figure out what to do with a new taxi service that may not actually be a taxi service…and one of the most extraordinary paintings ever created will be displayed in Yorktown. Those stories have been among the most read over the past week at the Virginia Public Access Project’s VaNews link on vpap.org. Fred Echols reports. 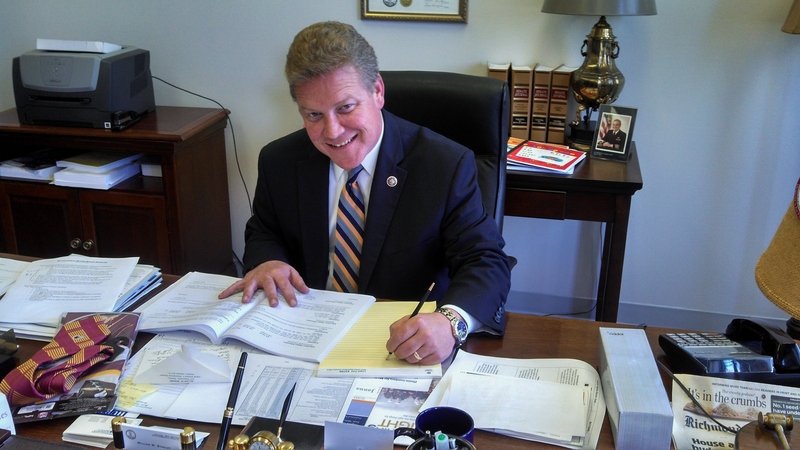 While the attack on State Senator Creigh Deeds and subsequent suicide by his son have brought more attention to the issue of mental health in Virginia, child advocates say there are significant gaps in how children and adolescents receive treatment. As Virginia Public Radio’s Tommie McNeil reports, it’s because since the incident last year, the number of young people who are admitted to mental health facilities has risen—but the number of available beds at a specialized facility has not. On this edition of Virginia Conversations, choosing a candidate to run against Senator Mark Warner. That’s at the top of the agenda as GOP leaders and followers gather this weekend in Roanoke for the Virginia Republican Convention. Four men are vying for the party’s nod to go against the popular Democrat. Our panel of political reporters weighs in on their chances with host May-Lily Lee. Although Virginia lawmakers are still locked in a stalemate over Medicaid expansion, over the next two days business leaders, health care providers, and technology innovators will be addressing the rising costs of healthcare and how to mitigate them—whether lawmakers reach a deal or not. As Virginia Public Radio’s Tommie McNeil reports, it’s all part of the Virginia Chamber of Commerce-sponsored Virginia Health Care Conference held in downtown Richmond. 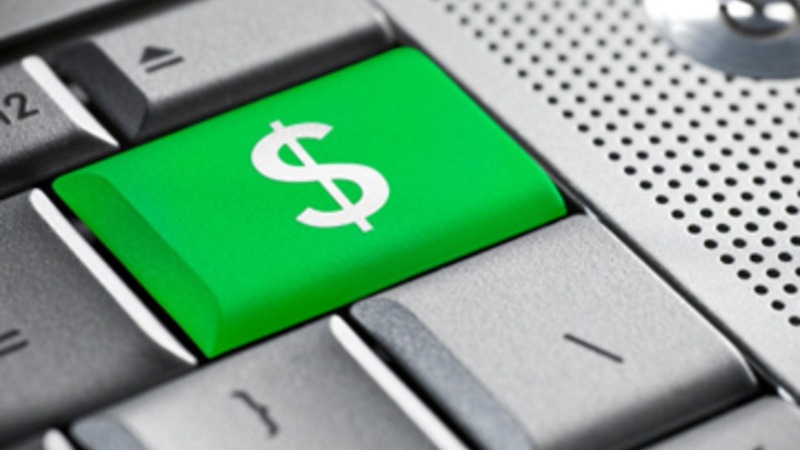 Average Internet access and connectivity costs in Virginia schools are more expensive than the national average, and now a nonprofit organization has chosen the Commonwealth for a free program that will discover why AND propose cost-lowering options. Governor McAuliffe announced that the “EducationSuperHighway” will gather detailed information from all school divisions, analyze the data, and then provide technical assistance. 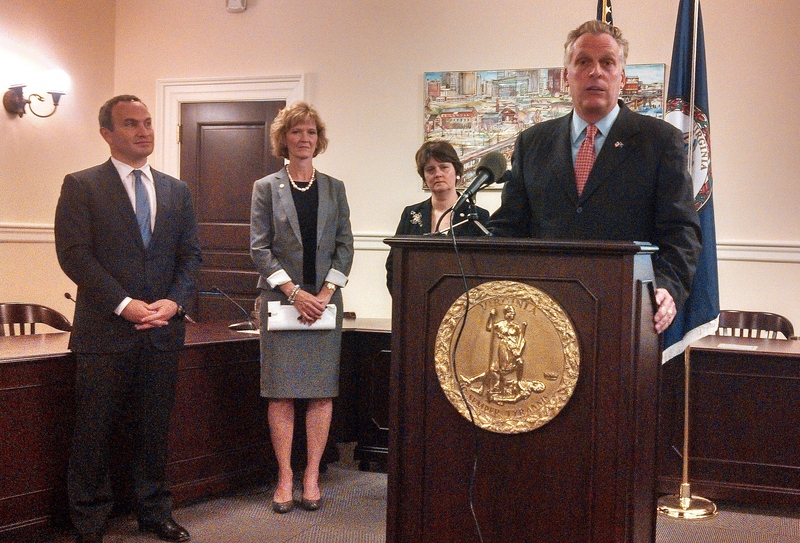 And as Virginia Public Radio’s Anne Marie Morgan reports, the governor emphasized that high-speed connectivity is now essential for both a 21st-century education AND economy. The derailment in Lynchburg of a CSX train carrying Bakken crude oil in April could have been much worse … and procedures and policies should be revised to mitigate future risk. That’s the conclusion of a hearing in Richmond led by U.S. 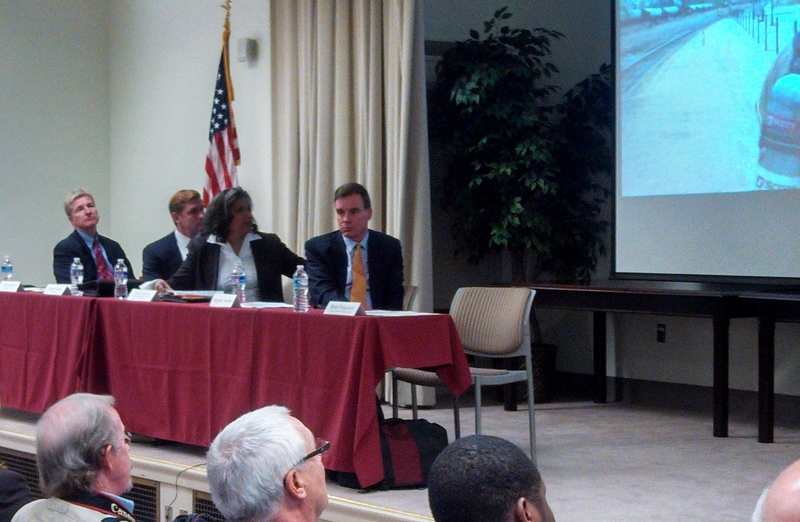 Senator Mark Warner… along with emergency responders, public agency heads, and corporate officials. And as Virginia Public Radio’s Anne Marie Morgan reports, one focus was on the vulnerabilities of transporting oil—and how to prevent such accidents from ever occurring.